It is crucial I am able to trust and rely on the services we buy. With a relationship of over 16 years young, Wycom Technology is a true example of an ideal partnership that reflects these key points. I know without a doubt the boys are available to assist with all our IT needs in a prompt, friendly and professional manner. Even the ‘small’ things are handled quickly and easily. Their approach is pro-active, not reactive and this is reflected in regular maintenance and risk analysis of potential issues which play key to a stable and efficient IT system. Even down to the 1 minute IT lessons Kane or Kayvan often give me, their focus is ensuring we understand the capabilities of our IT system whilst firm in the knowledge that they are working behind the scenes. We have been through several server upgrades and the downtime and ease of transition to the new servers have been seamless. It goes without saying that Wycom keeps us updated with the latest the IT industry has to offer and constantly looks at ways of improving functionality and data storage. Our discussions are informative and thorough and often leave us with a new way of thinking or a different approach to how we handle our IT. As a testament to a brilliant working relationship we have recommended several clients to Wycom Technology over the years and will continue to do so. We have used the services of Wycom Technology for over 8 years. During this time we have found their service and knowledge to be of the highest standard. As with most businesses today, we rely on our IT to be up and running and up to date to conduct our business as efficiently as we can for our clients. Wycom ensure we are well looked after and downtime is kept to a minimum. They also use their expert advice to let us know the best systems for our needs. This is an area we would be lost in if we didn’t have them advising us along the way. We would recommend their services to anyone running a business big or small. As a long-term client of Wycom Technology, Kooindah Waters have nothing but the highest praise for their assistance in managing our IT systems. We have a great tailored package and all our needs are continuously updated, to cover existing needs, as well as any other out of the ordinary needs that may arise. Technically, Wycom Technology are outstanding, all problems are resolved in a timely, polite and professional manner. Our very first meeting with the Boy’s from Wycom was to discuss the IT and Computer Hardware requirements for our Accounting Practice. The discussions were positive, informative and probing as they established our needs to appropriately service our requirements. Once we signed off on those requirements, including a Service Contract they took control and executed on time and were true to their word. Our relationship is one based on genuine trust. 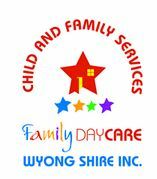 We are treated like family, yet the relationship is always Professional, Responsive, Effective and Efficient. The area of IT constantly evolves and we feel secure in the knowledge that Wycom are across developments within the industry. One never knows when Computers or Technical issues may arise, we like most, have had our share. I can say that the Team at Wycom have never left us in a breach and would certainly support them at any time to any prospective new business client. We’ve been a client of Wycom Technology for many years, and they have never let us down. Their customer service and IT knowledge is exceptional. Highly recommended.